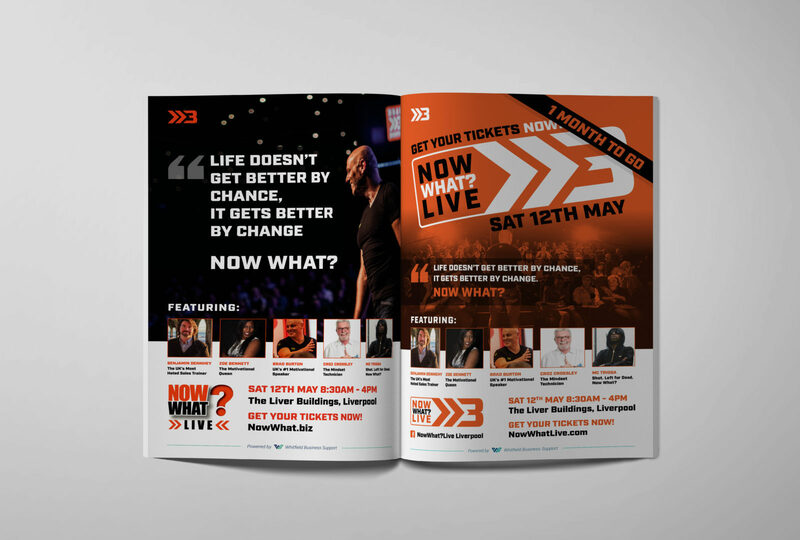 Brad Burton is the UK’s #1 motivational speaker, and when we went to see him in early in 2018, we were enormously impressed by his enthusiasm, drive and no-nonsense approach to business and life. We clicked straight away, and after a few conversations via the ‘Now What? Club’ (a forum where Brad helps to help motivate, inspire and drive members into making better decisions in all areas of their lives), we offered to create some sample graphics to showcase exactly how we could help. Impressed by the talents of our in-house team, Brad started instructing us on smaller projects and latterly our role has expanded until we have become an integral part of his marketing team, operating on a retained basis to provide graphic design for a range of products (podcasts, social media, books, adverts, logo extensions and new logo creation). With a shared philosophy and approach to business, it’s great to work alongside Brad and his PA Pippa. Focused, driven and with the same can-do attitude, we had to work with each other!